We've put together a timeline of major game changes for returning players to help people get re-orientated with the game. It's also nice to highlight the pace of development and just how far the game has come in a short time. If you think something is missing and it should be here, let us know. Bomber Royale experience gain has been tuned to award more active, aggressive play. Some experience is now granted based on damage done to other players, and the amount of experience granted for just staying alive has been reduced. Experience for each kill has also been reduced since it is now easier to get credit for kills on players who die from lava or falling. Kill credit is now granted to the most recent player to damage someone if they die from environmental damage or falling within 15 seconds. Clubs can now be reordered in the Club List. 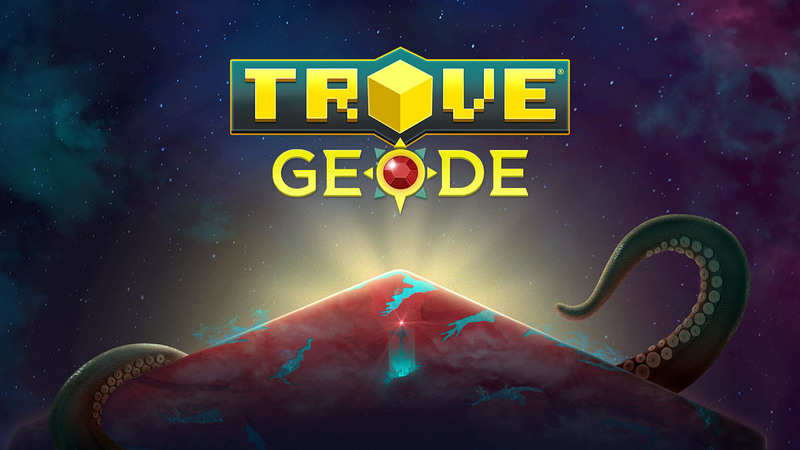 Two new dragons have been added to Trove! Ice Sage has been re-worked; increased damage potential, Big Chill and Frozen Ward abilities swapped positions (Frozen Ward is now an Ultimate ability rather than second ability), and Pain Freeze class gem replaces basic attack rather than Ice Crash. An option to make cornerstones undamageable by bombs and abilities has been added to the Miscellaneous tab under Settings. Added an option in the Miscellaneous tab under Settings to set the minimum rarity of gear that will be picked up when holding the Loot hotkey. Players can now pick their displayed name colors from a list of earned colors. This list can be accessed next to the name on the character sheet. There is now a toggle on the box opening UI that allows players to open chests until a rare result occurs. 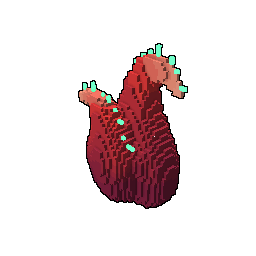 Reduced the time it takes for cave critters to reward the player with Lesser Crystal Caches by approximately 75%. The Marketplace now has a Resell option. Plants will now grow in any season. A Chocolate Sponge has been added to the top tier of Gardening. Geode is a whole new world with its own Hub. 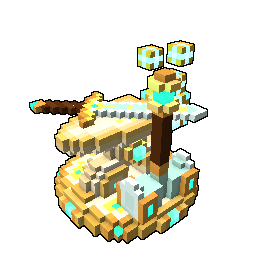 Players can teleport to this world through the Trovian Atlas or a Grode Portal at the SS Solidarity ship west of the Trove Hub. Travel through 3 new environments (Moonglow Grotto, Sunken Sunvault, and Verdant Veins) to gather resources, upgrade new modules, and meet a new set of creatures. After a Reliquary is fully charged, take it to the Reliquary Revealer in the Geode Hub to open it! Modules are a new type of equipment that will assist progress through the Geode Caves. There are 8 modules, and all can be leveled 10 times. Leveled modules are more efficient in even the early cave tiers. There are 8 types of companions with 3 different rarity tiers each with a set of buffs to assist players when upgraded at the Companion Trainer. Companions can be hatched from Bronze, Silver, or Gold Companion Eggs. New VFX Blocks can be crafted from this profession. Add a range of vfx to a cornerstone or club world with these blocks. Geode Mastery Points – Tracks total Geode Mastery points. The top 2000 players in this category receive a blue name color weekly. Total Mastery Points – Tracks combined Mastery and Geode Mastery points. The top 2000 players in this category receive an orange name color weekly. Weekly Companion Eggs Found – Tracks the number of Companion eggs collected on Geode. Weekly Adventures Completed (Excludes Expertise) – Tracks the number of Geode, Crystallogy, Event, Club, and Outpost Adventures completed. Weekly Bomber Royale Games Won – Tracks wins in Bomber Royale. Resets weekly. Weekly Bomber Royale Kills – Tracks kills in Bomber Royale. Resets weekly. 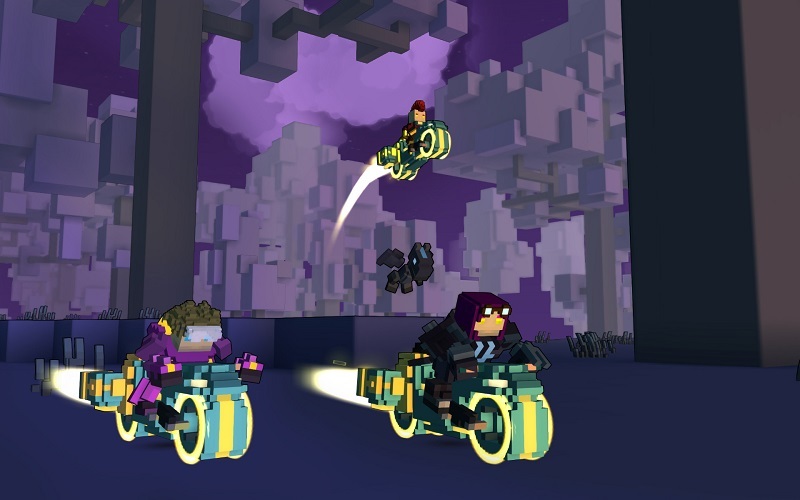 Bomber Royale is a new competitive combat mode that can be accessed via a top level menu item. Up to 20 players can join in a Bomber Royale match, although the match will start 15 seconds after 15 players are queued. Revenant has been re-worked; increased damage potential significantly, Spear basic attack has increased damage and life steal, Spirit Spears damage based on Physical rather than Health and is toggle-able, and sub-class ability modified to give a percentage of character max health when dealing damage to enemies. 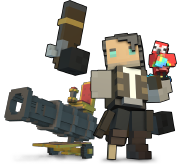 Four new Dragons have been added to Trove! 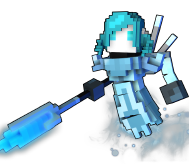 Carys, Seraph of the Golden Vale can be obtained while mining Crystalized Cloud Ore found in the Radiant Ruins and Cursed Skylands worlds. Xendri, the Arc Tempest Egg Fragments can now be purchased from Level 3 of the Travelling Club Merchant with Adventurine. Cy and Sanguine, the Twin Plagues can be obtained from the Bomber Royale Merchant. Norari, the Wayward Spear can be obtained by collecting Egg Fragments from Light Chaos Vaults. Equipment upgrade costs for Resplendent, Shadow, Radiant and Stellar have been reduced! Shaper's Stars are no longer required for any upgrades at the Forge and shadow, radiant and stellar souls can be crafted at the Shadowy Market. The amount of Club Experience required for most Club Levels has been reduced. 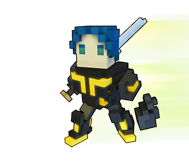 A superhero inspired playable character has been added as a new class in Trove, the Vanguardian. Can be crafted or bought from the store. 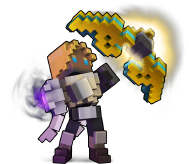 This class uses a new weapon type, Fists, and can switch between Melee or Ranged attacks. Outposts - structures that spawn with a Resistor Workbench and a Kami NPC that gives quests for Neon City and Luminopolis. Completing the quests grants EXP and Adventurine. 20 quests can be completed per day. Two new dragons have landed to match the opposing side trying to defend/conquer, Hoshizora, Luminary of Hope and Rhom-10, Dissent’s Roar. These dragons can ride on Mag Rails. New resources like Plasmium and Sentience Shards. Plasmium (along with other resources) can also be converted to other craftable resources like Circuits Circuts, Memory Matrixies, and Logic Loops. Neon City Scrap Cases - a new box that can drop from NPCs and chests in Neon City and Luminopolis, containing commonly found materials to the region. Players can use these new resources at the Resistor Workbench to craft the new Vanguardian class, 14 new allies, 7 new mounts, the Windtunnel Wings, 5 new tomes, 18 new frameworks, and a +50% Adventurine potion. There are also 11 new costumes. Rampage Challenge has been added to the pool of hourly challenges. During this challenge, players must fight off invading Gigastormers in Luminopolis. These bosses are similar to pinatas and only take 1 damage per hit, so players are required to go as a group to fight off the 3 new bosses. Rampages have 3 stages, each of which grant a Lesser Neon Cache. Beacons are a new craftable item that allows players to summon Gigastormers to their club worlds. 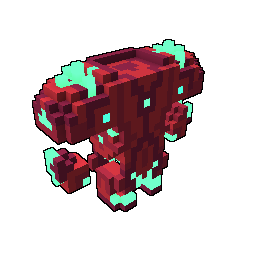 Players who throw this beacon is given a Sentience Shard. Gigastormers spawned from a Beacon during a Rampage will count towards the Rampage. Dracolyte has been re-worked; increased damage potential significantly, Flamethrower basic attack will now convert slippery ice blocks into "charred" blocks for a short time, Dragon Idols now detonate after 6s, and Burning Ward allows Dragon Idols now spawn a Dracolyte minion 100% of the time. 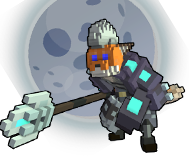 Level 30 costumes have been added for all classes. New club UI to support Adventures, Fixtures, and all the new Club Permissions. Clubs can now level up as players complete adventures from the club. The club’s level controls what fixtures are available. There is a daily cap on the amount of experience a club can gain that scales with the number of active members. 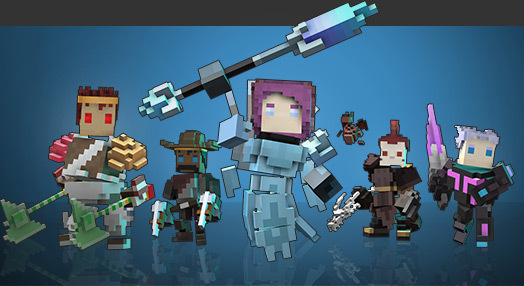 Heroes (Adventure NPCs) can be spawned at the Rally of Heroes fixture in a Club World and each Hero will remain spawned at the Rally of Heroes for a set amount of time. During their visit, they may fall asleep. These specifics may be managed by a Club Member with the necessary Permissions. There are a total of 22 different Heroes. 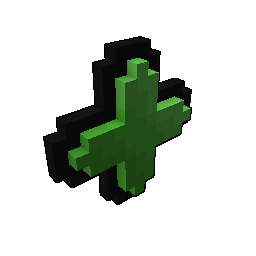 Completing Adventures grants a new type of reward currency called Adventurine and are used to buy loot from Merchants in the hub for a club's Traveling Merchant. Patrons receive a bonus 33% Adventurine. Players can complete up to 220 Adventures per day. Adventurine can also be used to convert to Clubits. to upgrade club Fixtures. 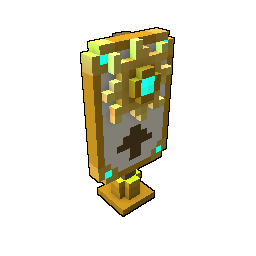 Fixtures are buildings that can be placed in Club Worlds to unlock mechanics, buffs, and even loot chance increases. This only affects PvE gameplay. Fixtures can be purchased with Clubits from the Merchants located on the Trovian Clubit Union fixture and can be upgraded, placed, or removed by a Club Member with necessary Permissions. There are a total of 2 Base Fixtures, 6 Combat Fixtures, 6 Utility Fixtures, and 4 Ultimate Fixtures. A club may only have 1 President. If the President of a club becomes inactive for more than 45 days a new President will automatically be promoted based on VP activity. Framework recipes have been added to the Workbench, Forbidden Workbench, Haunted Workbench, Candy Workbench, Store, and Mastery Rewards. These new recipes allow players to craft and place entire structures in their Club World. The Forbidden Spires biome has been added with new recipes, frameworks, and ore (Cinnabar). Monsters in the Forbidden Spires biome will rarely drop Fiery Feathers which is used to craft a new Phoenix mount, Onbari, Empress of the Southern Skies. Panda Mounts can now be crafted on the Adventurer's Crafting Bench using Panda Talismans, which are rarely found in Uber 8 and higher adventure worlds. The Spire Spirits Adventure Box can now drop from any world. Mastery rewards have been extended past Mastery Rank 300 with new rewards at 100, 220, 250, 260, 270 and above 300. This replaces Chaos Coins and players no longer receive Chaos Factor through Mastery. Above 300, players will need half the targeted Mastery Rank in Mastery Points to Progress. For example, 150 Mastery Points are needed to achieve Mastery Rank 301. 300 Mastery Points are required to achieve Mastery Rank 600. New leaderboard Contests were added to include new objectives such as Flawless Ultra Runs, Weekly World Boss defeats, Weekly Club Experience earned, and Weekly Dungeon Clears. Removed rewards from Mastery Contest and changed to give "Gold/Yellow" name for top 2,000 players. New Badges for the Eclipse Update have been added! Luxion of the Golden Hoard is a new merchant that arrives twice a month in the hub selling items for a limited time in exchange for Dragon Coins. He will have some new items, some highly-sought items, and some timely goodies. Three new dragons have landed! Recipes for each can be found in the Dragon Crucible, and their egg fragments have been scattered throughout the game. Knight has been re-worked; increased damage potential, Smash ability reworked to gain taunt instead of stun and knockback, Iron Will reduces incoming damage to yourself as well as 7 other allies. Recipes for Radiant and Stellar rings have been added to the Ringcrafting Bench. 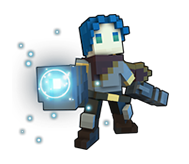 Plasma Fishing has been added to Trove! A new type of block has been added - LED blocks. 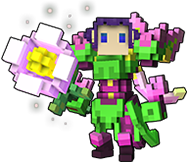 Completing the Star bar now grants 500 Flux in addition to 500 Cubits, or 1500 of each when in Patron status! The Portal Tower in the Hub World has been replaced with the Sun Goddess Statue along with the new Trovian Atlas, easy-to-use overworlds map that grants access to any world. Players entering the Shadow Tower via the Atlas spawn into the new Shadow Tower Foyer world. New gem stat augments and reroll system at the Gem Forge. 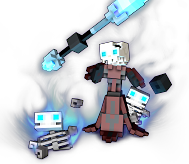 Subclasses have been added for 15 different class related passive abilities. Each subclass provides a unique passive ability along with a stat boost! The effectiveness of the passive increases based on the active Power Rank of the subclass, while the stat boost improves based on the level of the subclass. Shadow Hydrakken shadow titan has appeared in the Shadow Towers. Players can fight this 5x snek wall after defeating the Vengeful Pinata God. 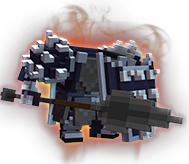 Darknik Dreadnought Mk II shadow titan has appeared in the Shadow Towers. Players can fight Dr. Darknik's latest mechanical machination after defeating the Shadow Hydrakken. Elemental worlds now drop Key Fragments and Prime Worlds now drop about 50% more Key Fragments. Patron status doubles such drops. Eight new dragons have landed! 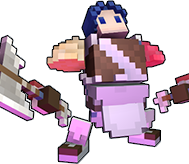 Recipes for each can be found in the Dragon Crucible, and their egg fragments have been scattered throughout the game. 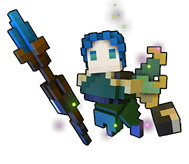 Fae Trickster has been re-worked; increased damage potential, Glitterbomb gains stun and removed knockback, Faerocious Facsimile Class Gem temporarily removed for a new class gem. New daily loot rewards upon login. Players will be given a daily loot token that corresponds to the month it is given out. 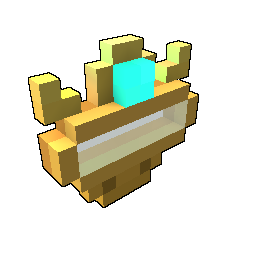 New crafting bench to spend daily loot tokens for each month, the Radiant Dayspring. Can be crafted at the Novice Crafting Bench. Login tokens will be purchasable for credits 2 months after the month the token was given out. 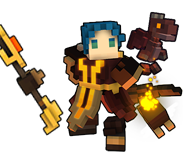 New packs in the Trove store, the Mega Menagerie pack (Extra Life 2016) and Fast Fortune pack. An all-new objective chain that grants Minerbot Qubesly ally. Credit pouches are now automatically consumed when purchased from the player marketplace. Credit pouches can now only be listed in the marketplace and not traded in other locations. Target Destruction minigame support added. Cooldown on dodge is now 1.8 seconds. 25 new costumes to the Chaos Core Crafter. All-new objective chain that grants St. Qubeslick ally. Collect Tentacle Slices to craft the Tranquil Tentacle ally. Price changes to items in the Store. Credit Pouches purchasabe and can be traded in the Marketplace. Radiant Soveregins added as a bonus for credit purchases; can be used at the Radiant Merchant to trade for goodies. Limited time offers (Flash Deals) available for Credits. Packs converted from real money to credit purchases (does not include Essencial and Double Dragon packs). Items purchased from store cannot be traded. The lower stat value for all minor gems has been increased by 30%! Gems no longer can be found with only one stat, instead only spawning with 2 or 3 stats. Llama Talisman can drop in Adventure Worlds, used to craft Llamas. Corgi, Meownt, Shmeep, and Centaur Tallismans drop instead of mounts; mounts can be loot collected to talismans. Music blocks, Mounts, Mag Riders, Wings, and Ships now work in the metaforge. Grants players 100 jump while in the metaforge. All-new objective chain that grants Amorous Archer costume. Heart Eater and Rosy Ravisher craftable in the Chaos Core Crafter. Portuguese is now in Beta. Join the Party Part 2! Video settings added: LOD, FOV, Bloom, Depth of Field, SSAO. Chaos Factor, players at max mastery ranks can gain free chaos chests when logging in. 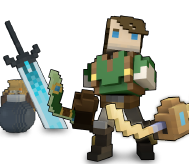 Class levels are increased by each two star stat on equipped shadow equipment up to a max of 40. Flasks customizations on store, change behavior and size of flask. Mastery points for unlocking recipes, styles, mounts, pets, mag riders, costumes and leveling up professions and classes. Rare drop decorations and trophies added.